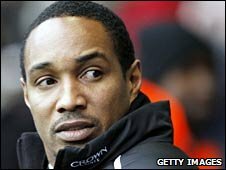 Paul Ince has agreed a two-year deal to return to Milton Keynes Dons for a second spell as manager. He succeeds Roberto Di Matteo, who has gone to West Bromwich Albion, one year after leaving the Dons to take charge at Premier League side Blackburn. Rovers sacked Ince in December after he won only three times in 17 matches. Dons chairman Pete Winkelman said: "We felt he had unfinished business and it feels right he should return and build on the momentum he helped create." Former England midfielder Ince first arrived at Stadium MK in 2007, leaving Macclesfield - his first managerial appointment - where he had kept the struggling Silkmen in the Football League. In his first season in charge of Milton Keynes, Ince took the Dons to the League Two title and also won the Johnstone's Paint Trophy final at Wembley, but left for Blackburn that summer. "He enjoyed incredible success during his first spell with us and showed himself more than worthy of a shot at the Premier League," Winkelman added. "His achievements and the manner in which he left meant we had to see him before we even considered anyone else and it was obvious straight away that the chemistry was still there. "He remains one of the most talented young managers in this country and I'm enormously excited about what he can help us achieve." Under Di Matteo the Dons missed out on a second successive promotion, as they lost to Scunthorpe in the semi-finals of the League One play-offs.